Few South Indian chefs (the cuisine, not the ethnicity) have been at the helm in the kitchens global hotel chains. Chef Balaji, the new executive chef at Park Hyatt, joins that elite list in Chennai. 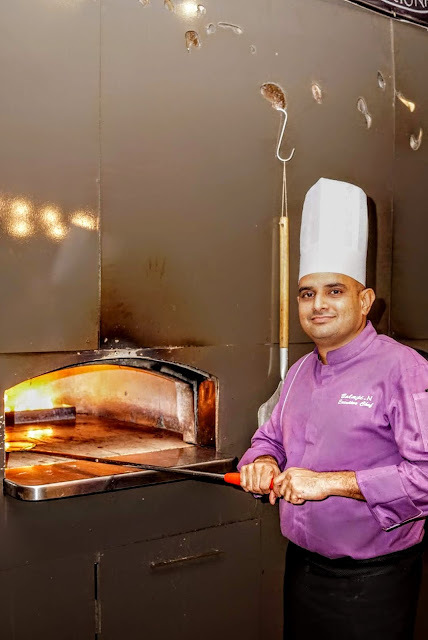 Going with its ethos of 'going local', Park Hyatt, Chennai has upped itself by getting the quiet and shy, yet supremely talented Balaji Natarajan to lead its kitchens. My first interactions with this chef was somewhere in 2014, when he created an idiyappam fusion dish as part of the Masters of Food and Wine in Chennai. A dish that refuses to leave my brain as one of the best versions of the idiyappam, is still a talking point when I think of or talk about him. Layered idiyappams (hoppers) with quail gravy and egg, this was a rather new kind of fusion. No fancy plating, no fancy names, just a new way of presenting an age old dish without flashy non edible garnishes. But don't let the simplicity take away his culinary powers. This man was felicitated by Sachin Tendulkar for creating lamb rack version of the biriyani and the genius batsman has certified him for serving 'his favourite' fish gravy that reminds him of the kitchens of his friend's. So what does chef Balaji have to say? We put him through a bunch of questions! My home food, Idly, Dosa, Sambar, Rasam, Poriyal, Kootu, Appalams, and Wadai Thovayal served in Plantain Leaf. Which cuisine are you very critical about when you eat out? Pan Asian. I had an opportunity to work with some of the fine Asian Cuisine Chefs in my Carrier like Chef Teuku who taught me good Basics of Asian Cuisines. 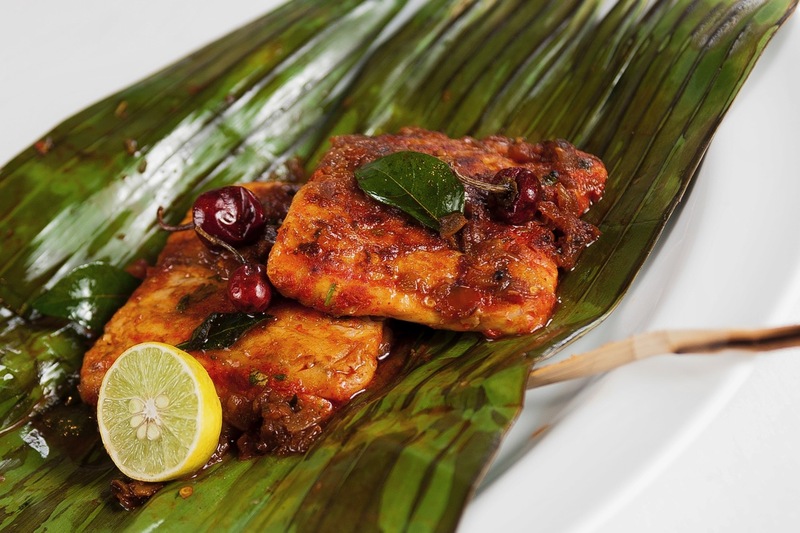 Which cuisine do you think is either missing or poorly represented in Chennai? Which is the one thing that you love, and you think Chennai doesn’t have it? Restaurant in beach side with good Bbq grills. Which is the one place you want to visit in Chennai that you have not visited yet? What is the one dish you believe that is your best creation and that diners must absolutely eat when you they come to your restaurant? Fish Polichadu, Plantain leaf wrapped fish. Which dish that you cook will your mother be proud of? Any food or a recipe done with care and passion. She always taught us not to waste food and to cook right quantity as required. What is the dish (or dishes or meal) that you grew up eating that you absolutely love? Anything and everything from my Mom’s Hand. Egg Curry, Spicy Red Chilli Chutney, Arusi Paruppu Saapadu, Urulai Kilangu Poriyal. Will you now be able to cook that dish or meal the same way it was cooked when you were not a chef? What does your spouse think is your best dish? Do you cook for pleasure outside of your restaurant kitchen? Why? I love to cook for my family then for my friends. Because I feel proud and it gives opportunity to connect with people. Is there a dish that you still can’t perfect but you really want to? If you were to meet a world top 10 chef, would you ask them about cooking or about business or about PR and marketing? Absolutely about cooking, their Culinary Journey, specialty and favorite dish of them. If you were not a chef, what else do you believe you would have been great at? I would have tried my best to become a Professional Cricketer.